The brain, together with the spinal cord, is part of the central nervous system. The brain is the source of your dog’s consciousness and intelligence. 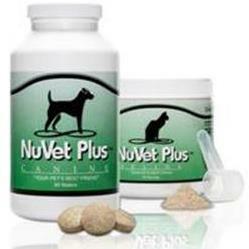 It enables your dog to communicate and experience emotions. Also, it controls almost all bodily functions, from sensory perception to regulation of essential processes such as appetite and sleep. To carry out these activities, the brain’s billion of cells can communicate with every living cell in the body through nerves and through chemicals called neurotransmitters. What Causes Seizures in Dogs? Unfortunately, a plethora of causes may lead to brain disorders. Disorders of the brain may arise as a result of physical injury, poisoning (by a substance in the environment or from the effects of a chronic disease elsewhere in the body), infection (of the brain itself or of its surrounding membranes) or tumor growing in the brain tissue. Most brain disorders cause a variety of signs and symptoms. One of the most commonly seen signs associated with brain disorders is seizures. Veterinarians will classify the causes based on where the problem originated: within the brain (Intracranial) or outside of the brain (extracranial). The extracranial causes can originate within the body or the environment. 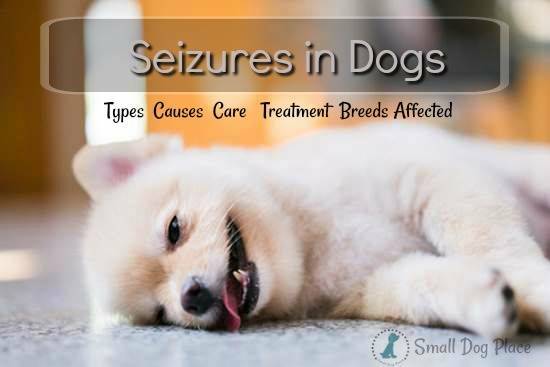 Seizures in dogs can occur in many different circumstances. What's the Difference Between Seizures and Epilepsy? A general seizure involves a loss of consciousness accompanied by involuntary activities such as muscle contractions, paddling with the limbs, trembling and facial twitching. During a seizure, dogs frequently salivate, urinate and defecate. The pupils of the eyes are usually dilated. A partial seizure involves only some of these changes and does not necessarily include loss of consciousness. The words ‘’convulsions’’ and ‘’fits’’ are used interchangeably with seizures. In epilepsy, a disturbance in electrical activity in the brain causes a seizure. The term epilepsy is often used to refer to a condition in which a dog suffers frequent or recurring seizures. Epilepsy is the most common cause of seizures in dogs. It occurs when there is abnormal burst of electrical activity in the brain. The electrical burst, because of its size and sudden onset, cannot be transmitted through its proper channels, thus causing loss of consciousness and involuntary movements. Excessive salivating, drooling, "foaming at the mouth"
This phase can last from seconds to minutes. In rare instances, it can last longer, and it is referred to as status epilepticus. This disorientation can last from few minutes to several hours. Milder seizures, called ‘’petit mal’’ seizures, are shorter in duration. An affected dog may only stumble and lose consciousness for less than a second. In other cases, the only sign of a seizure is unusual behavior, such as repeated snapping at the air as if to catch a fly or frenzied digging for no apparent reason. This condition is called psychomotor epilepsy. Since dogs tend to move somewhat when sleeping, legs may jerk, mouth might open and shut, muscles may twitch. You may hear a quiet cry or the sound resembling a bark. Some also paddle their legs in a way that looks like they are swimming. One might wonder if the dog is just dreaming or having a seizure. After witnessing one seizure, you will always be able to tell the difference between the two. What Should I do if my Dog Has a Seizure? Protecting yourself – a dog having a seizure may unintentionally bite. Protecting your dog – pull the dog by the scruff of the neck, away from potential threats in its surrounding. Place something soft, such as pillows or a blanket, around and under the dog’s head. For short seizures, comfort your dog with soothing words and gentle stroking. For longer seizures, provide comfort and make arrangements to see your vet as soon as possible. After the seizure, provide some water for your dog to drink. If the dog appears confused and disoriented, confine it and stay with it. Touch and familiar voice are extremely reassuring to dogs with seizures. What if the Seizure Won't Stop? This is a life threatening medical emergency that requires immediate care. If the seizure lasts more than about five minutes, the dog will need intravenous anticonvulsants to stop the seizure. This is called Status Epilepticus. Seizures can be frightening to a pet parent and doubly so for children who may be observing. Your dog is also under stress. During times of stress, we may not function as well as we could and may do something that might harm our dog or ourselves. Do not try to move your dog as you could get bitten. Don't pick up your little dog and hold in your lap. The best and safest place for him is on the floor away from furniture or objects that could hurt him. Don't try to hold his head during a seizures because you could get bitten. Do not try to give your dog any medication, water, or food during a seizure, unless your veterinarian has prescribed an emergency drug. Never punish a dog for involuntary urinating or defecating while seizing. The diagnosis should be based on the dog’s history (retrieved by talking with the owner) and the presenting clinical signs. To rule out another diagnosis the dog should be submitted to full physical examination, including a neurological exam, blood tests, and EEG. If needed, the veterinarian may require additional diagnostic procedures, such as cerebrospinal fluid analysis, x-rays, CT and MRI scans. Treatment for seizures involves treating the underlying problem as well as the seizures themselves. Often the cause of the seizure can be identified and treated and then no further treatment is necessary. If your dog is having frequent seizures and lasting for 90 seconds or more, he will require treatment. For dogs with idiopathic epilepsy, a medication (anticonvulsant or antiepileptic) may be prescribed that will need to be given daily for the rest of the dog's life. These drugs do not cure the disease, but rather, they control the seizures. The most common treatment of choice is Phenobarbital. Initially, the drug causes sedation, but with time the side effects diminish. The drug is known to cause addiction and its administration requires certain rules and can only be prescribed by a licensed veterinarian. Potassium bromide is another very old but effective drug used to treat seizures in dogs. This drug is not used in people any longer as it had a tendency to cause psychological problems. 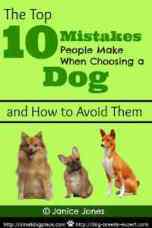 Your dog is still your furbaby and can lead a relatively happy life. You will have to adjust your schedule so you can give him his daily medication, and be aware that he may still have a seizure now and again. The medication and treatment provided by your vet will help your dog stay comfortable and be able to participate in all the activities that the two of you enjoy. This article is for informational purposes only and is not intended to replace the help of a veterinarian. Please contact your vet if your dog has had a seizure and obtain professional assistance. 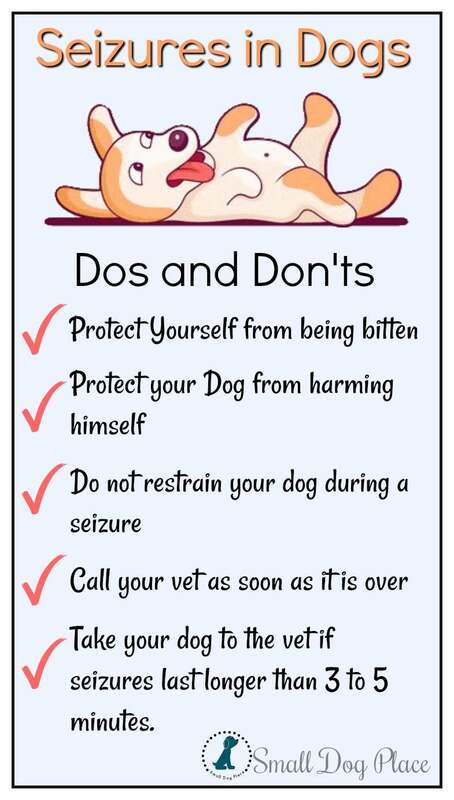 Dos and Don'ts for dealing with seizures in dogs. Sign Up for Our Free Newsletter and get our Free Gift to You. If you enjoyed this page, I'd love it if you'd let me know. Just click the button below. Thank you. FTC Disclosure: In some of the articles on this site, I make recommendations on products that have been helpful to me. If you buy something through a link, I receive a small commission with no additional cost to you.